I think there comes a time in every longboarder (or skateboarders) life when a backpack is needed when you are going out on your board. Here you’ll find your skateboard backpack. Simply because your pockets can no longer hold everything, you need to take with you. Skating can be a lot of fun, but it’s important to have a durable backpack with you. Of course, there is always a chance to use a simple backpack. If you are okay with that, there is not much I can say. 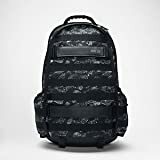 But remember, there are backpacks that are designed for longboarders of skateboarders will offer you more functionality that you can benefit from. And when you are spending most of your days out on your board, this turns out to be the kind of investment that you want to make. So here are some of the best longboard/skateboard backpacks to get your hands on this year. 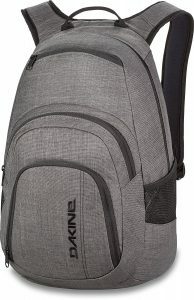 This particular backpack, the Dakine Campus is an excellent investment as it made from 600D Polyester. What this means is that it will hold all of your stuff for a long time. Another benefit of this product is that it has a place to keep your water bottles. The shoulder straps are also padded which will help out your shoulders. The laptop sleeve shall offer space for up 15” laptops with the 33L option. 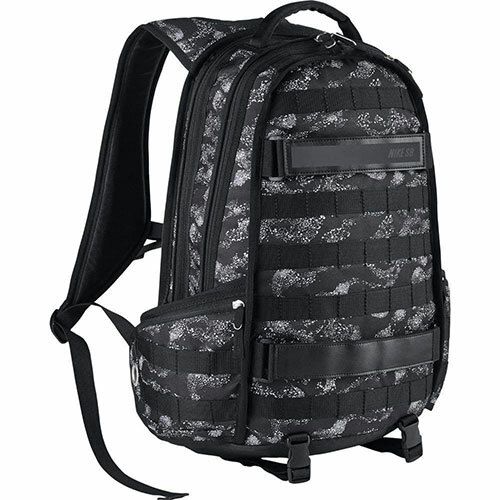 The Campus Backpack comes with an insulated cooler pocket. Of course, it has a band that will hold your board when you are not riding. Element surely knows what they are doing when it comes to anything skateboard related. This backpack is an excellent example of that. It has enough space to carry around just everything you need. It also has adjustable shoulder straps! Besides the large pocket, there are several smaller ones to keep different accessories safe. Again, it would not be a great skateboard/longboard backpack, if it wouldn’t have the straps to hold your board. 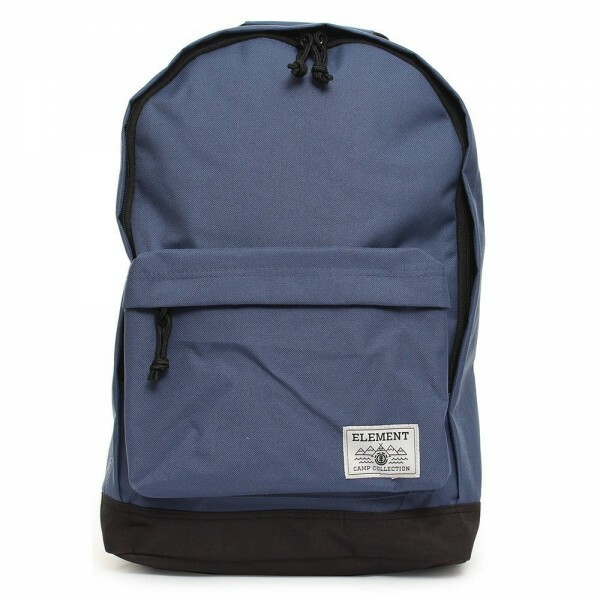 Element Beyond Skateboard Backpack is made of 100% Polyester which ensures long-term usage. Overall, the Beyond Skateboard is a simpler approach to what the ideal riders backpack should look like. It does not have the straits for your board, but it looks just perfect without them. 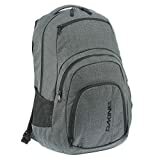 This is a good bag to take if you want a travel bag as well. It’s a great size for traveling! The two pockets will have enough space for the things you want to take with you. 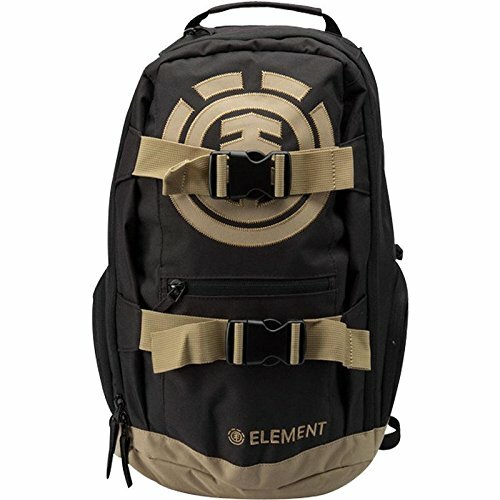 I used to have a similar backpack (it wasn’t from Element), and I know that this design is perfect for an everyday backpack. Nike has done a great job designing this backpack, and that is something all riders will appreciate. The backpack straps are adjustable and easy to work with. It is light and comfortable, which makes it ideal for everyday use when you are always moving around. I have to say that from pocked should not be used to carry around fragile accessories if you have strapped your board to the bag. You might damage something this way. 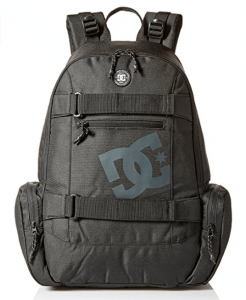 This men’s backpack is essential for any skater! Overall it is clear that Nike SB products ensure great quality and functionality. And that is precisely what we are looking for. The graphics model looks intriguing! We could not get through without mentioning DC. This right here is one of my favorite ones as the design leaves no doubts about the safety of the things you carry. There is no front pocket, which leaves you with less space, but ensures more safety. When you strap your board to the backpack, there is nothing you worry about. This is an excellent purchase for someone who is looking for a longboard carrying backpack. And the straps are designed so that it is super easy to get your board attached to the pack. If there is anything small you need to carry with you, just use the side pockets. There are many more different options out there. Just look for the one that fits your needs and enjoys. A great longboard backpack is without a doubt one of the things you will eventually need.